Ben Julianel has been with Tax & Financial Group (TFG) since 2009. He is dedicated to building lasting relationships with clients that reach beyond the scope of business. Drawn to the business because of friends, Ben enjoys advising others on how to make good decisions that affect their financial situation and their life. Bens practice focuses on helping small business owners with their business exit strategies and also provides overall financial planning. Prior to joining TFG, Ben played professional baseball for nine years with the Cardinals, Yankees, Marlins, Twins, and Rockies organizations. Before being drafted by the St Louis Cardinals in 2001, he played his college years at San Diego State University (SDSU). While playing at SDSU, Ben pitched against some of the nations best teams including USC, UCLA, and Cal State Fullerton. At SDSU, Ben received a Bachelors degree in Kinesiology. He also received a Masters of Science degree from Azusa Pacific University. Ben has earned the series 7 and 66 securities registrations and the California Life and Health licenses. He is a Registered Representative and Investment Advisor Representative with Securian Financial Services Inc., member FINRA/SIPC. 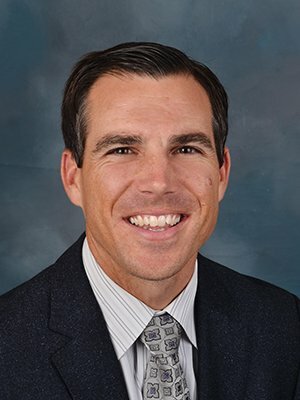 Ben is on the Council Board for Olive Crest Safe Families, a well-known local charity, and has been instrumental in re-launching their Business Partnership program in Southern California. Ben is on the Orange County Board for a Christian organization called Fellowship of Companies for Christ International (FCCI) which provides resources to Christian business owners. The church that Ben and family call home is Crossline Community Church in Laguna Hills, California, where he is active in the Mens ministry. During his baseball career, Ben helped launch a unique ministry called E-Fellowship which provides current and former Christian baseball players an opportunity to share what God is doing in their lives. Currently, Ben lives in Ladera Ranch with his wife Christy and their three children, Gwen, Vance, and Reeve.